Student of the Year 2 is one of the most highly-anticipated Bollywood films of 2019. The trailer of the film was launched at a multiplex in Mumbai, reports Mid-Day. 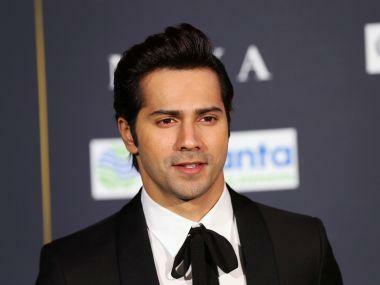 It is a follow-up to 2012's Student of the Year that launched Varun Dhawan, Alia Bhatt and Sidharth Malhotra. The second installment is set in St Teresa, a prestigious college, which organises an inter-college 'Dignity Cup' competition. Tiger Shroff plays Rohan, who aims to win the award, but is unfortunately expelled. He joins another college and takes part in the competition to claim the trophy. Tara Sutaria plays Mia, an aspiring dancer while Ananya Panday is Shreya, a reckless, wealthy student. The film not only shows Rohan's struggle to be on the top but also balance a complicated love triangle between him, Mia and Shreya. Student of the Year 2 is helmed by director Punit Malhotra and is produced by Karan Johar, Hiroo Yash Johar and Apoorva Mehta under the banner of Dharma Productions and will be distributed by Fox Star Studios. At the trailer launch, Punit had said that two of the original cast members will make a special appearance in the film, reports Mid-Day. Student of the Year 2 is set to release on 10 May.